I'm so happy to see this is getting an audience! And a great audience it is! Every morning I look forward to seeing if there are any new participants. I can't wait to see what ideas you all have for the week. Believe it or not, seeing others' shots makes me a better photographer! 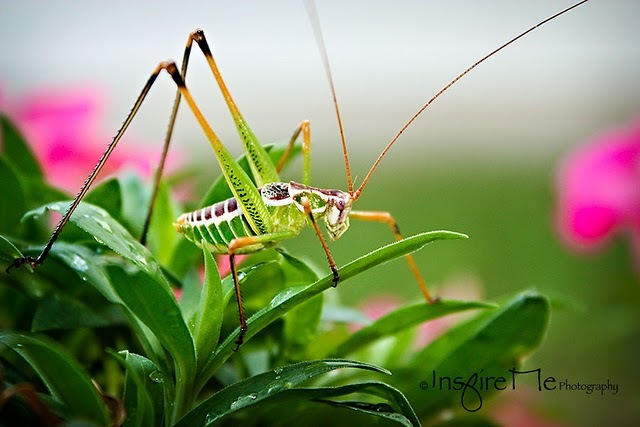 This week, my favorite is from Inspire-Me Photography. I have not seen a photo of hers that I'm not completely impressed with. Keep it up! This shot is gorgeous! The color is amazing and the critter is so interesting. Make sure to come back next week when the theme is "Express Yourself". Explain in photos who you are!